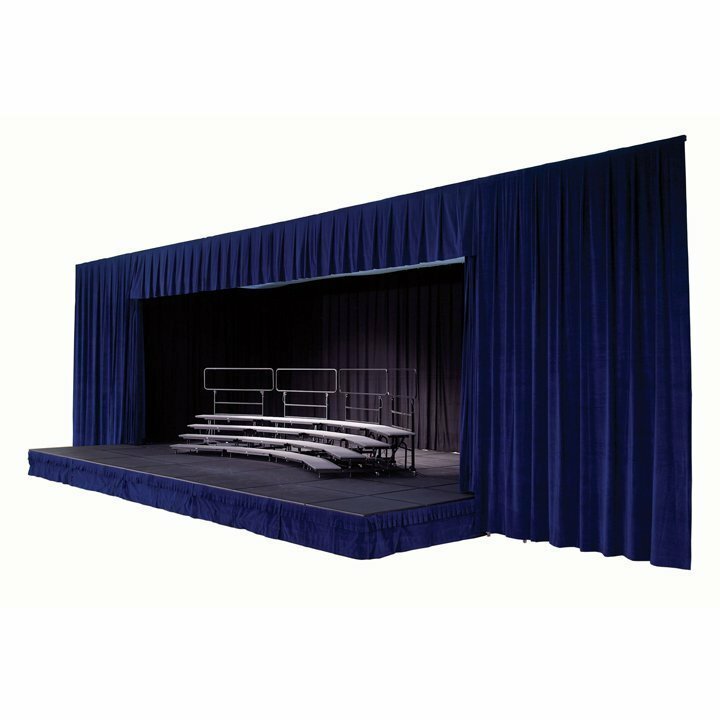 The SICO® Insta-Theatre® folding stage system is an innovative, full-size performance theatre that can be easily folded to fit against a wall. 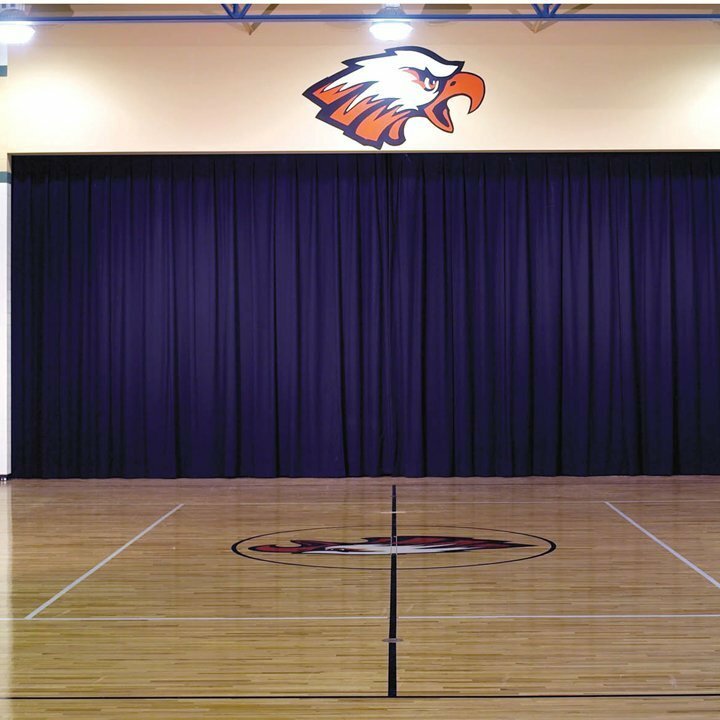 Imagine being able to transform your cafeteria, gymnasium, or multi-purpose community room into a professional theatre in minutes, without having to commit space or funds to a permanent stage! In its folded position, the SICO® Insta-Theatre™ consumes as little as 4.5' (1.4m) of depth. 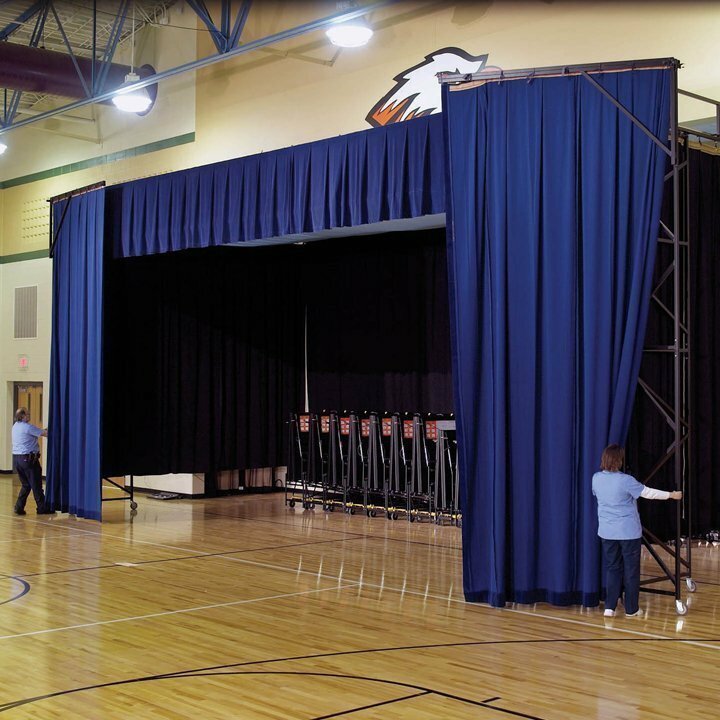 When unfolded, it provides a full, 24'-32' (7.31 m-9.75 m) wide by 16' (4.9 m) deep performance stage inside a 17'-2" depth. 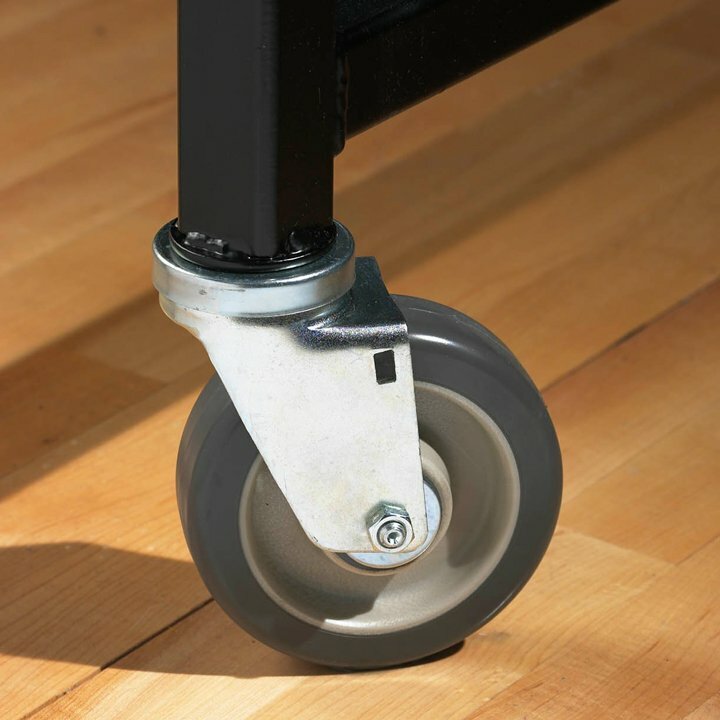 Save thousands of dollars in construction costs! Enjoy the benefits of a full proscenium theatre at less than half the cost of a permanent built-in theater. 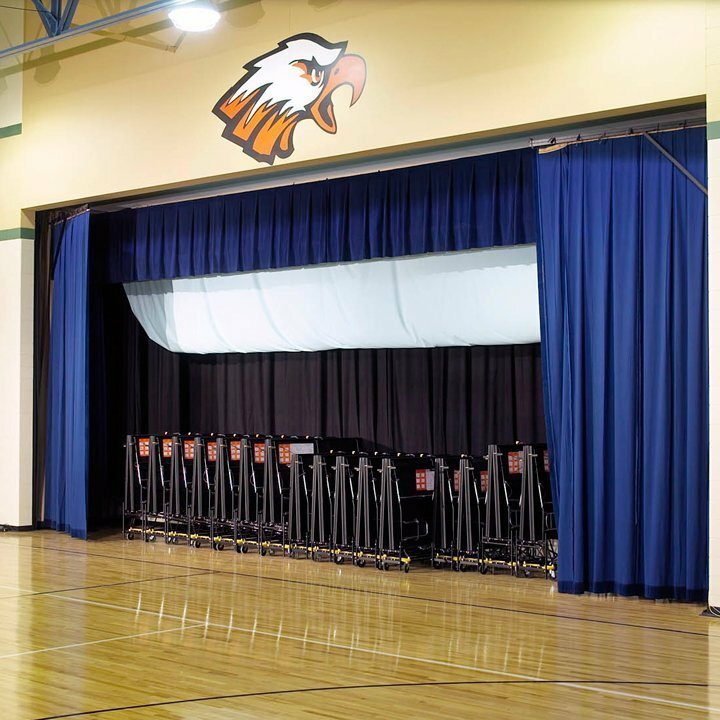 With the SICO® Insta-Theatre®, you'll maximize your use of space within your hotel, community center, school, church, or convention center — and provide a professional, lit theatre stage for your patrons at a fraction of the cost! 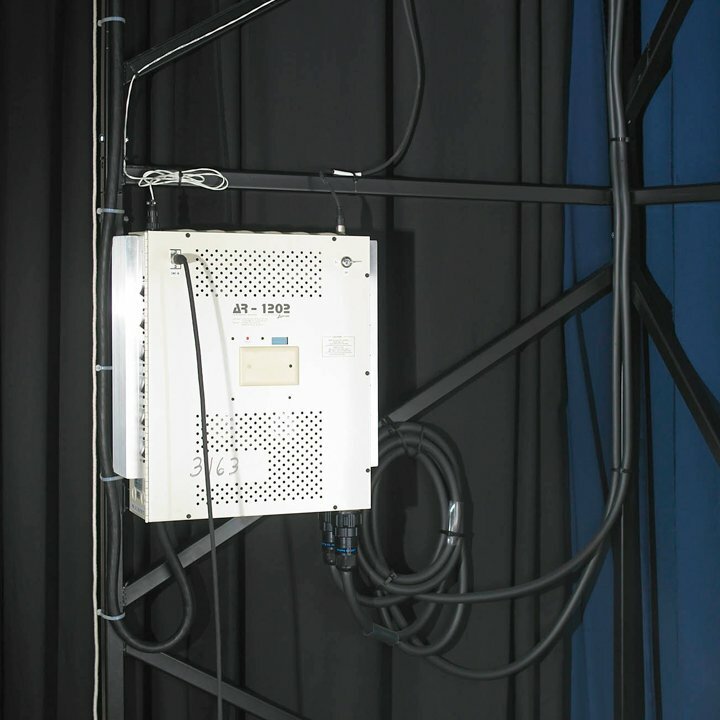 Once installed, it takes only minutes to fold out and operate and can be set up with just two people! Open the optional, vinyl protective curtain. In most cases, stage sections and all accessories are stored inside. Roll out the front support towers. 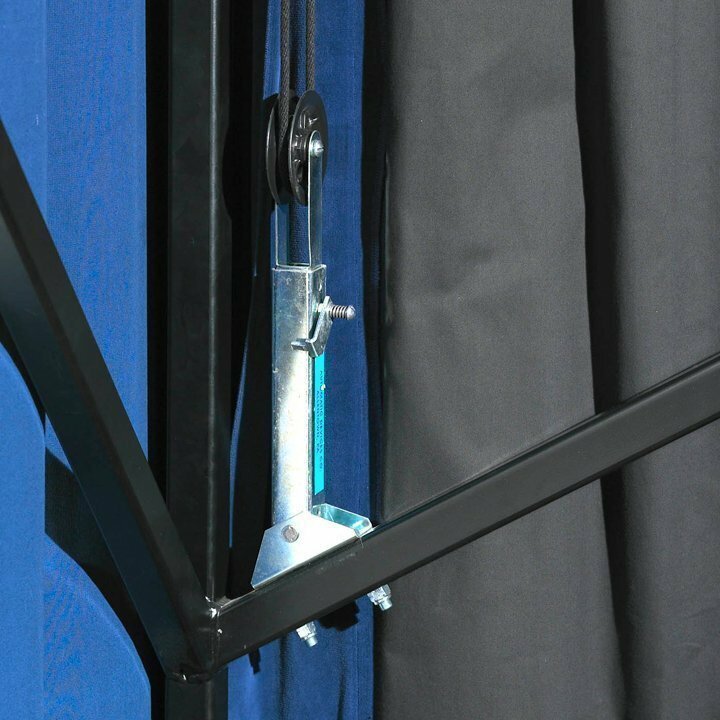 Pivot the curtain tormentors (side wings) to each side. This hides the backstage area from the view of the audience. Roll stage sections into place. 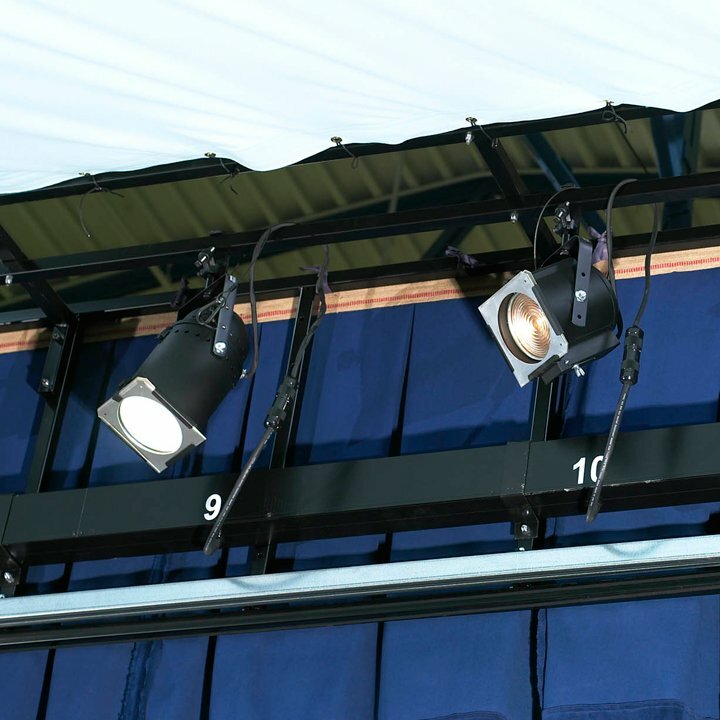 Power up the pre-installed theatre lights (operating instructions are stored electronically within the console), attach the stage skirting and you are ready for your performance. 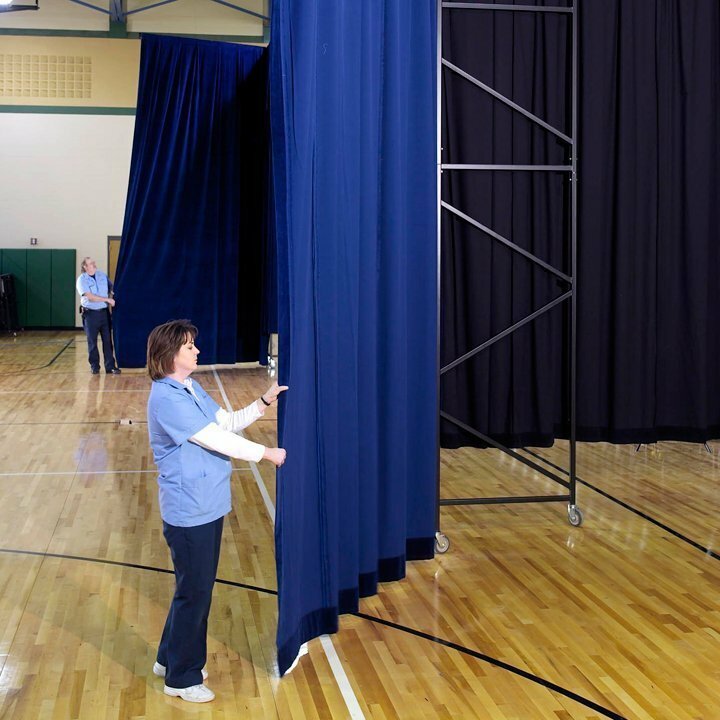 When your performance is finished, just fold it away into storage, to open up the space for other activities!